Can you believe Easter has been and gone already! I don’t know where 2015 is going but it sure is flying past. This recipe was suggested by my mum and I remember thinking I’ll make it for Easter and how far away that seemed! 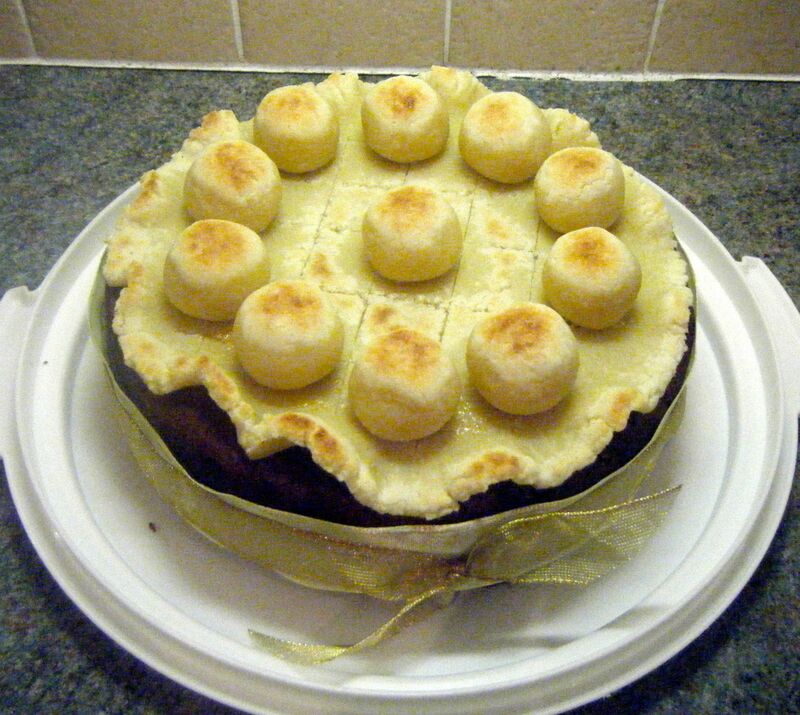 I’d never heard of simnel cake before and I had to look up what it was. 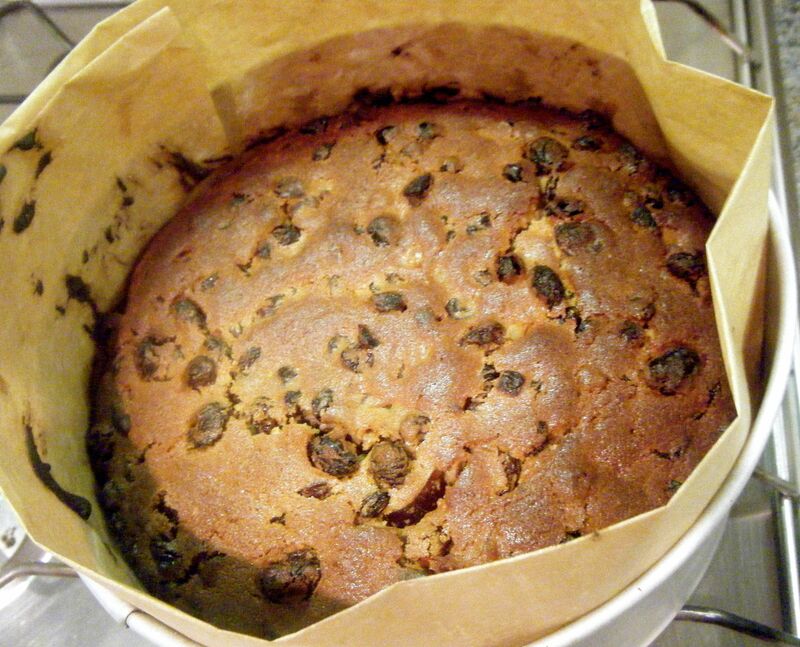 For those of you who share my lack of knowledge it is basically a fruit cake with marzipan cooked into the middle. It then has a circle of marzipan placed on top, traditionally decorated with 11 balls of marzipan to represent the 11 disciples (excluding Judas). 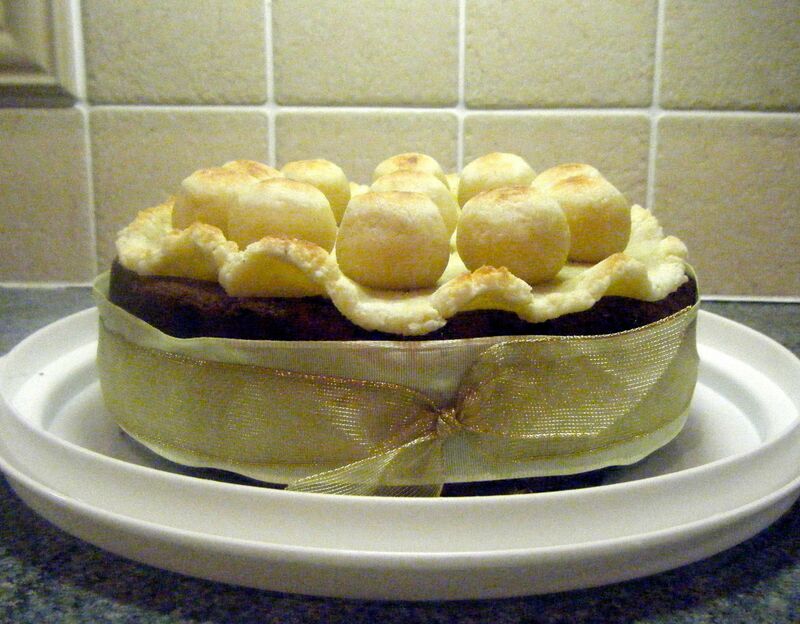 Once I had found out what a simnel cake was, I asked my mum whether she wanted me to make the marzipan from scratch and the response was “well if you’re going to do this blog properly, then yes”. Thanks for the challenge mum! I had a bit of warning for this dish and so I decided to give the marzipan aspect a trial run by making it for my Christmas cake last year. I realised it is actually not very difficult and the fear for this challenge was eased slightly. 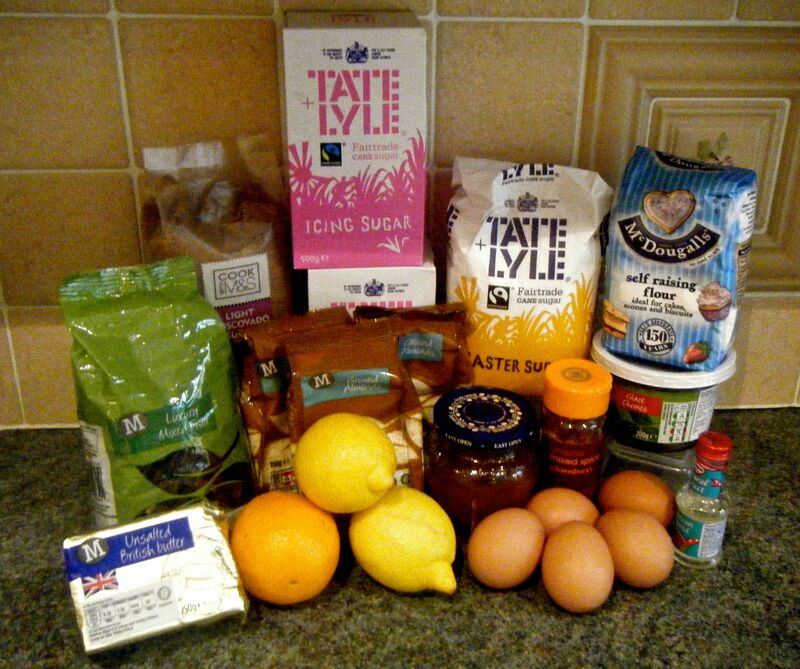 A few weeks ago I started looking for a recipe and found this one by The Hairy Bikers. I started out on Good Friday morning with the marzipan. I sifted the icing sugar into my bowl and stirred in the caster sugar and almonds. Next, I beat the eggs in a small jug and added the lemon juice and almond extract. Practical tip: when juicing a lemon (or orange), pop it in the microwave for around 30 seconds to warm it slightly. The fruit will release more juice if it has been heated. 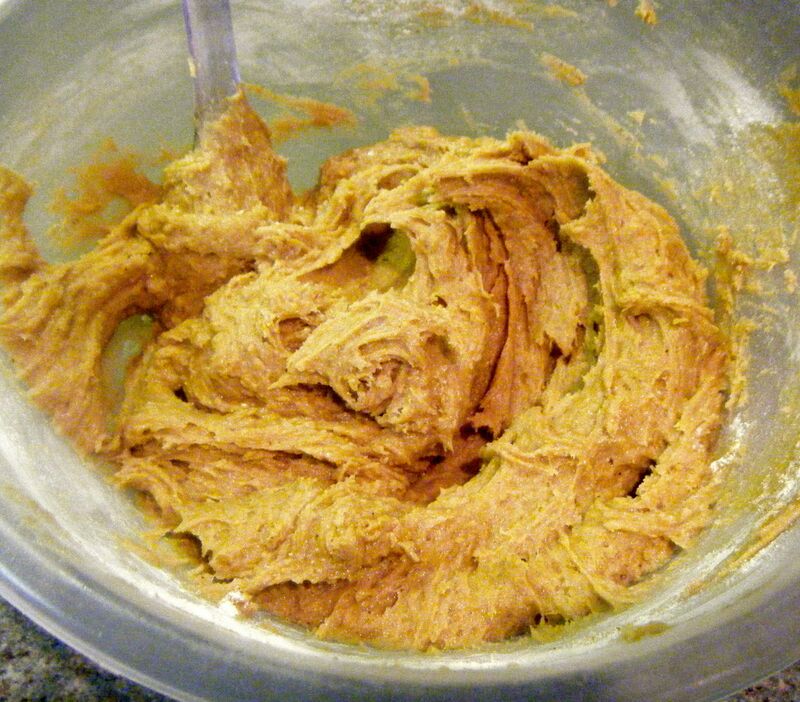 I then added the wet ingredients to the dry ingredients and combined until I had a paste. 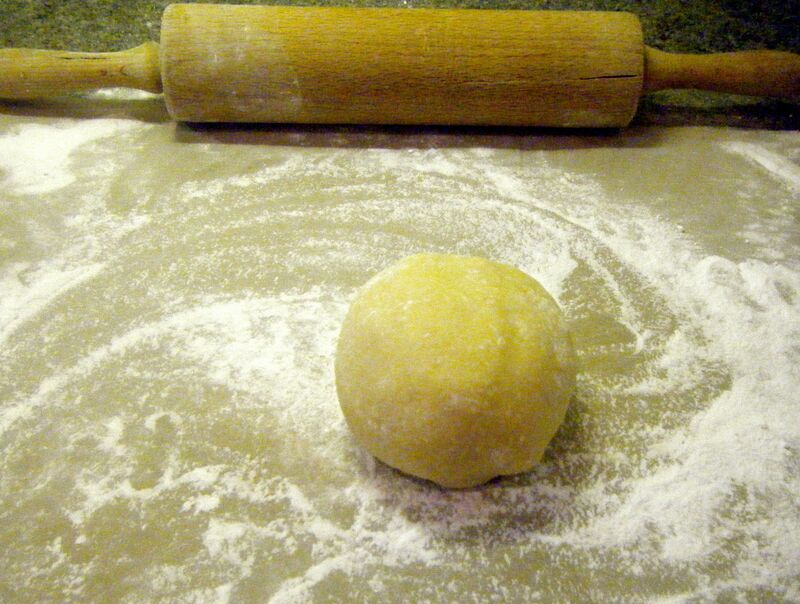 I dusted the worktop surface and tipped the marzipan out to knead by hand until smooth. The marzipan kept sticking to the worktop but I persevered and eventually had a smooth(ish) ball which I popped back into the bowl and covered with cling film to rest for 2 hours. After about an hour, I got started on the next bit of the recipe. I zested the orange and lemon into a small pot, put this to one side and then juiced the fruits into a saucepan. 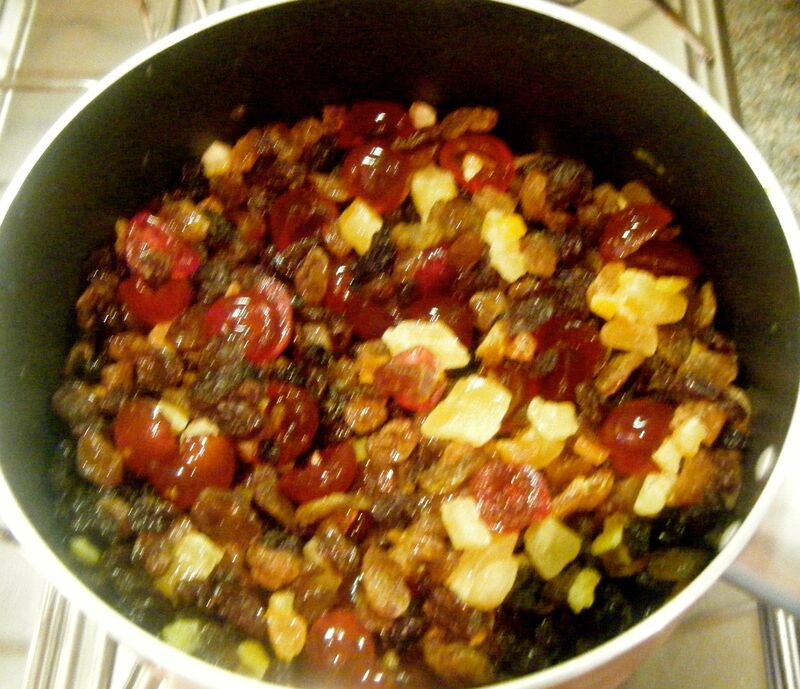 I added the dried fruit and my halved cherries to the pan and I turned the hob on. The recipe says to simmer over a medium heat until the liquid disappears. Now, I couldn’t actually see the liquid with the fruit in the pan but I just made a small gap by pushing the fruit to one side and soon enough the liquid started to bubble. Then within a couple of minutes it was gone! I tipped out the fruit onto a plate and left it to cool. 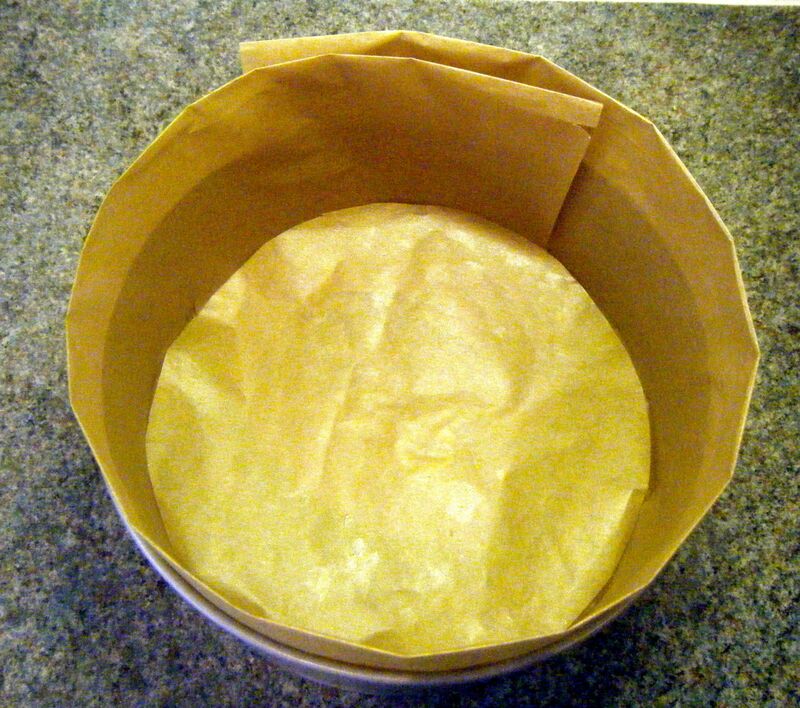 Next up, I buttered and double lined the base of my cake with baking parchment. 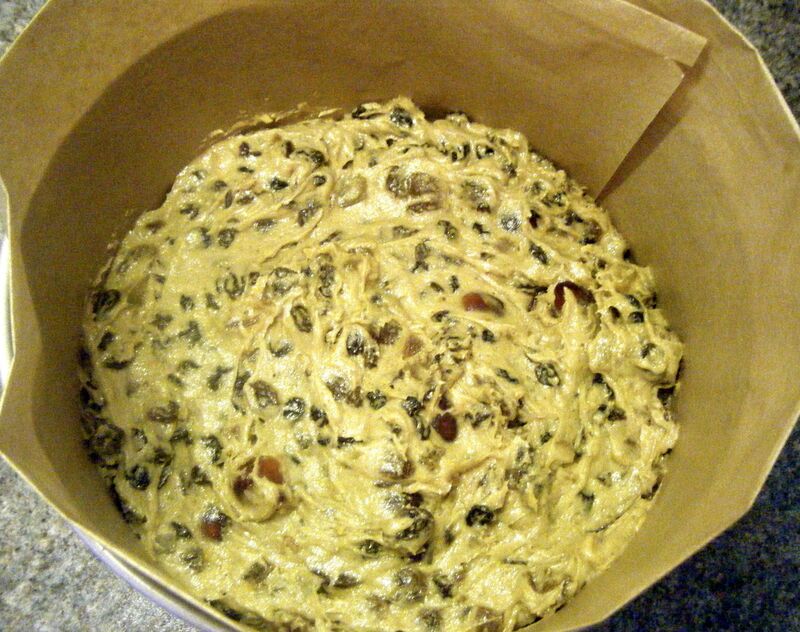 This was something I had to do for the first time when I made my Christmas cake last year – for my sponges, I normally just butter and flour my tin. If you’ve not double lined a tin yourself, I found a really useful guide here which I think explains it perfectly. I didn’t follow this exactly for my simnel cake but I used the techniques I had learnt last year. 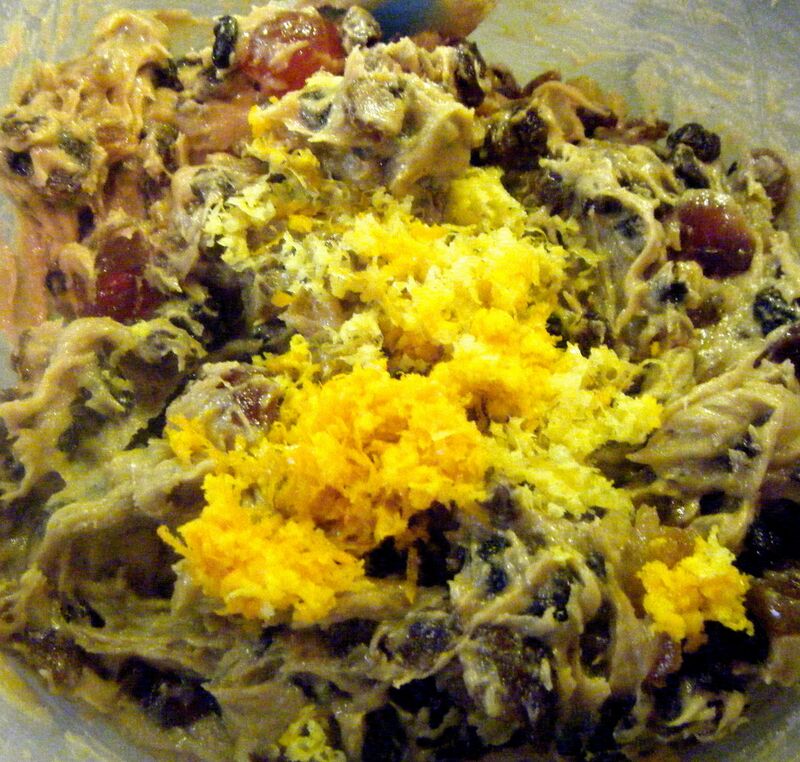 With the tin and fruit ready, the recipe instructs to mix the flour and mixed spice in a large bowl. I don’t know why it calls for a “large bowl” as you then add it to another bowl later on. So I just put the ingredients into a jug. I whisked the eggs in a dish with a fork and then set out softening my butter in the bowl. I used a handheld electric mixer to do this and then added the sugar, beating the two together until light and fluffy. I then beat in the eggs a little at a time and included a teaspoon of the flour with each addition to stop the mixture curdling. Once all the eggs were incorporated, I added half the flour/spice and mixed it with a spatula – I didn’t use the electric mixer because it is quite vigorous and I prefer a more gentle approach. 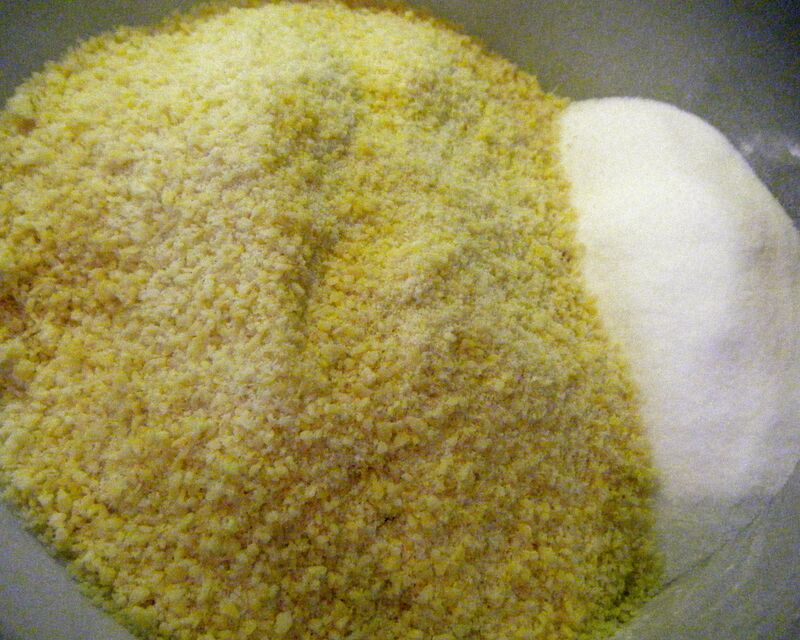 I then added the second half of the flour/spice and continued to mix until it was well combined. Finally, I stirred in the fruit and zest and added half the mixture to my lined tin. 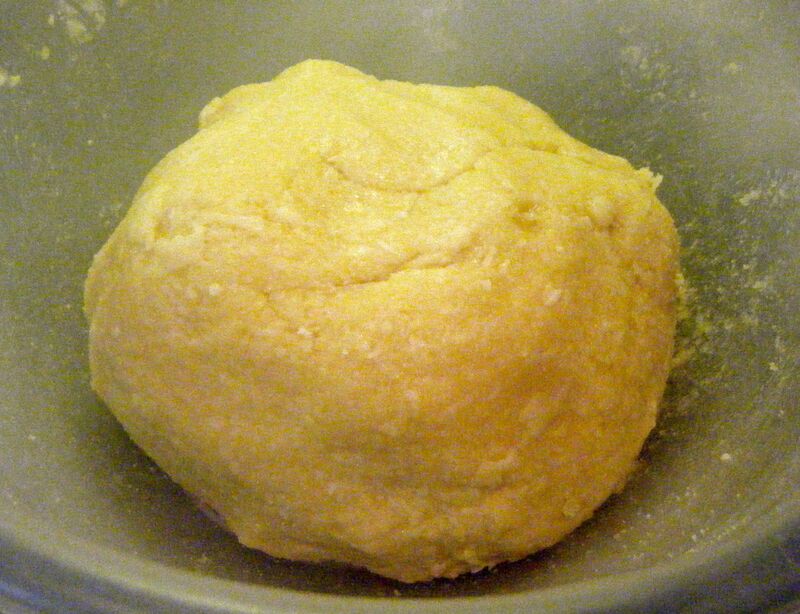 Time to roll out the rested marzipan. I got the ball and split it into 3 equal parts. I measured them to make sure they were equal and ended up with quite a bit leftover, especially from the last bit which was used for the ball toppings. To avoid this, I would recommend measuring one part out to be 220g (which will give you 11 balls of 20g for the topping) and then dividing the left over marzipan equally into two. 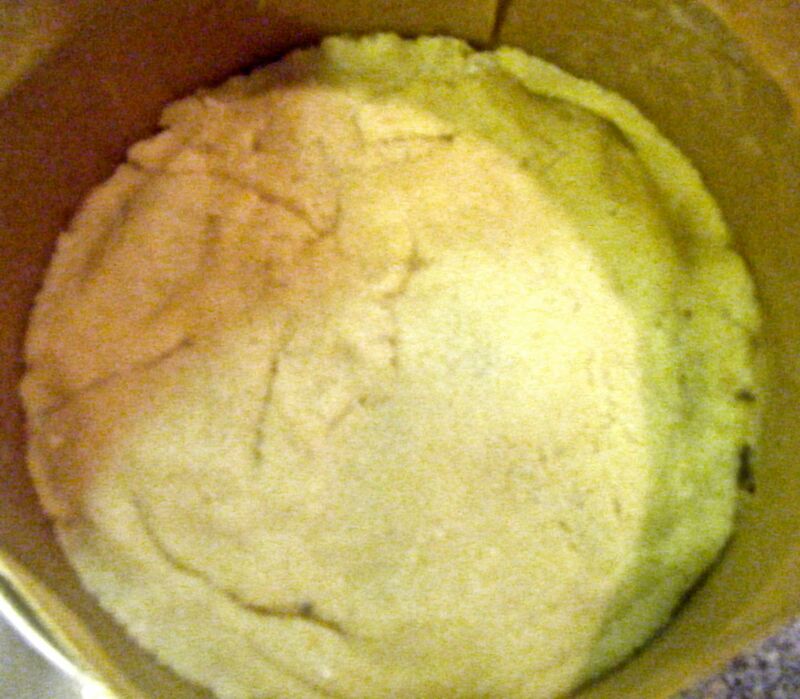 With my marzipan rolled out, I used the cake tin to imprint a slight circle and used a knife to cut out a circle slightly larger. I then used a rolling pin to pick up the round and put it in my tin. This didn’t really work and the circle broke but I just squished it back together again, making sure it reached all sides of the tin. I then covered the marzipan with the remaining mixture and popped the tin in the oven, setting the timer for 1 hour. When the hour was up, I reset the timer for 10 minutes. Then without taking the cake out of the oven, I covered the top with a bit of foil to stop it catching. After a final 5 minutes, I used a tester to make sure the cake was done. I then let it cool on the side for around 15 minutes. Once the 15 minutes were up, I released the cake from the tin and took off the lining. I then went and did some retail therapy for a couple of hours whilst the cake cooled completely on the wire rack. When I got back, I put the cake on the grill pan and started heating some homemade apricot jam on the hob (see here for a homemade jam recipe). 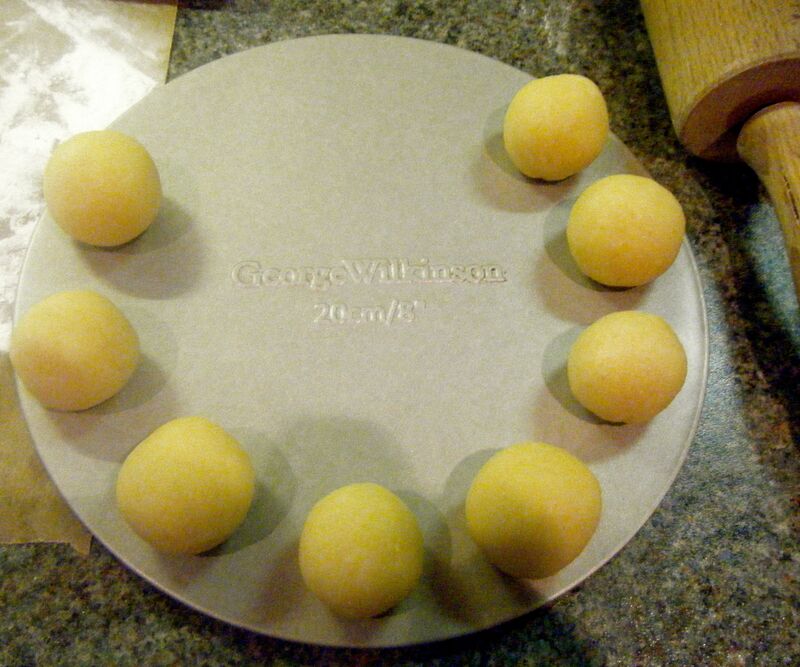 Next, I rolled out my second ball of marzipan and used the clean cake tin base to measure the right size. I brushed the top of my cake with the jam and put the marzipan on top (it stayed in one piece this time!). 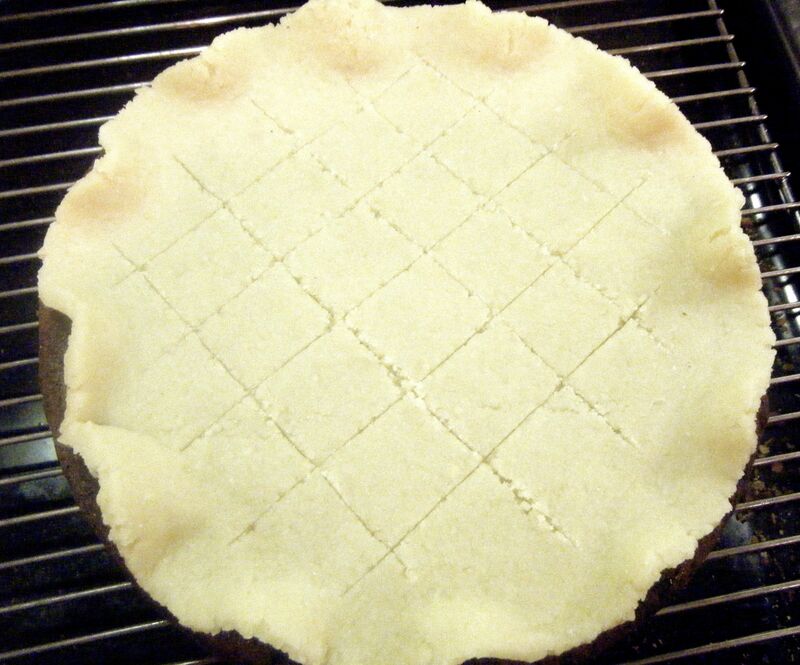 I then fluted the edges and scored the criss-cross pattern. Practical tip: take a small amount of the discarded marzipan and roll it into a small circle to practice your pattern before scoring it onto the circle on the cake. With all the balls in place, I put the cake under the grill to brown the marzipan. I stood and watched the oven like a hawk because I thought it would catch really quickly. I was right! Once the marzipan had started to brown, I quickly took the cake out the oven and left it to cool before applying the yellow ribbon. The cake was then taken down to Surrey on Saturday to enjoy with my extended family at a long-overdue catch up. The verdict – DELICIOUS! 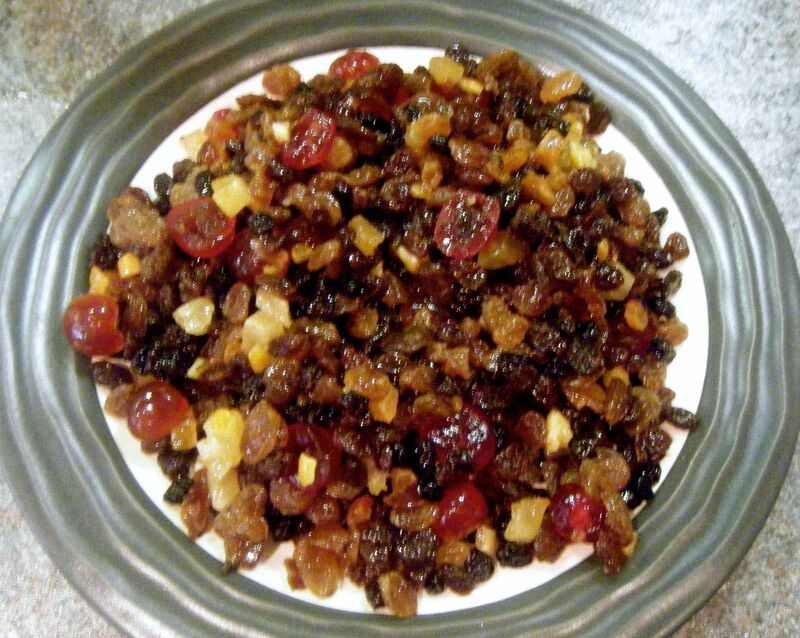 The cake was very light for a fruit cake but packed full of flavour. As for the marzipan, perfect almond flavour and a beautiful texture. Overall, this cake was a huge success and all the family loved it. This is especially true of my mum and uncle who are huge marzipan fans. I actually thought there was going to be a fight over the last few slices. 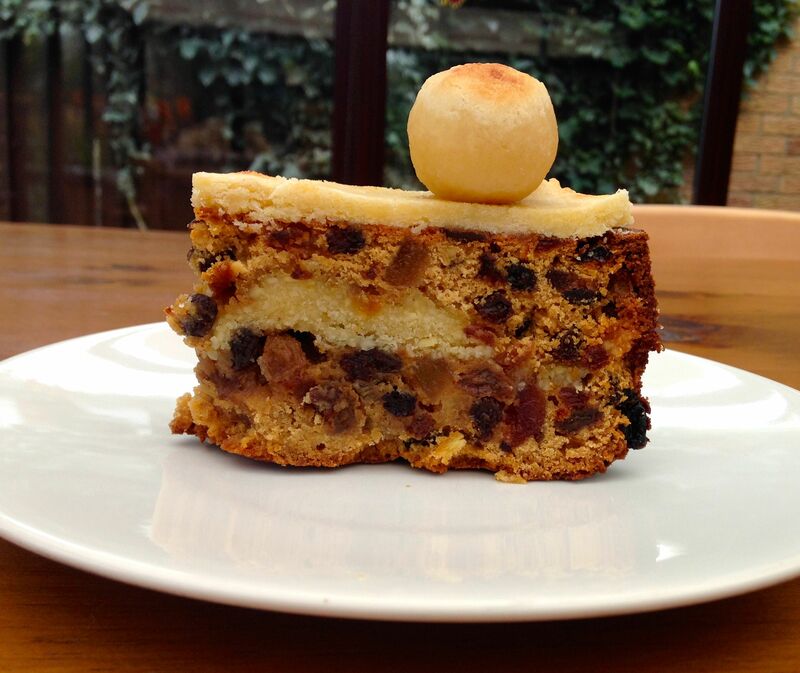 There you have it then; my first ever attempt at simnel cake went well. I’m actually craving some as I write this up and I am a little sad that I left the final slice with my mum to enjoy. Coming up next week, Challenge No. 16 – cornish pasty. This entry was posted in Challenge 52 and tagged Baking, Cake, Challenge52, Food, Fruit, Recipe, Sweets & Treats by MyGastroAdventure. Bookmark the permalink. The last slice was as delicious as the first! What a cool cake! Looks like you did a great job 🙂 Thanks for sharing!